Showcase your coastal style with the Catalina Euro Sham. 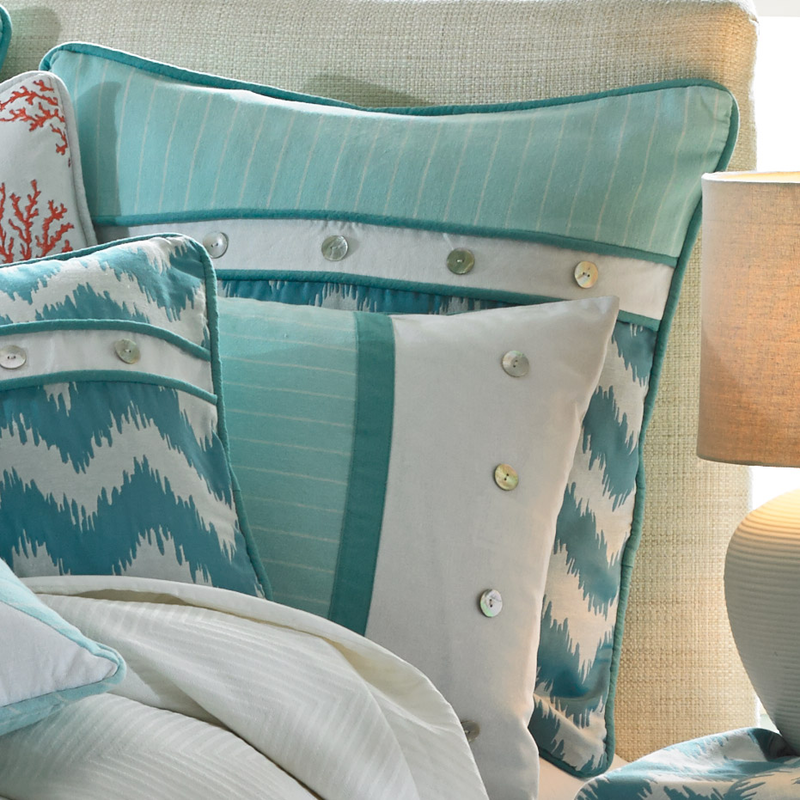 This beach bedding is designed with a chevron ikat-style print with striped accents and button details. Ships from the manufacturer. Allow 1 to 2 weeks. For further items, we ask you to take a moment to browse our thorough selection of beach bedding at Bella Coastal Decor today.